Limited vaccinations and natural diet have already been touted by the pet parents as the healthiest ways to raise dogs and have themselves experienced the improvements by making amendments in their dog’s lifestyle. With this development, people have also become inquisitive whether they must continue administering the heartworm preventatives or can switch to more natural options if there are any. This question has been raised due to the adverse effects of ivermectin and other heartworm preventatives reported at various incidents which included vomiting, convulsions, diarrhea, loss of balance and hypersalivation in a few dogs. Most pet owners live with the notion that if a dog is being fed a well-balanced, raw diet and is refrained from over-vaccination, he wouldn’t get infected. However, if veterinarians and studies related to heartworm prevention in dogs are to be believed, heartworm disease can infect even the healthiest dog, despite being fed and reared with utmost care. Many dogs die every year of heartworm infection due to the inconsideration of the seriousness of this ailment by the pet parents. Most of them are in fact unaware of the devastating effect of this disease on their pet that incapacitates the poor fellow by blocking the blood supply thereby leaving him to succumb for life. Though natural products do help to some extent in relieving the effect, they fail miserably in providing holistic treatment and future prevention against these parasitic worms. Many customers have actually faced the consequences of not preventing their dogs of heartworms. Some had to blow their budget owing to the heavy cost of the heartworm treatments, encashing their savings in most cases and the other few had to bear a graver loss, the life of their pet. This makes it imperative for parents to invest in a heartworm preventative that would keep their pet safe from this deadly parasite. Ivermectin and Milbemycin Oxime are the two main active ingredients that are used to control heartworm’s juvenile forms called microfilariae. Where ivermectin is present in Heartgard, the other one comes with a brand name Interceptor. Both are deemed to be highly effective against the disease. Regardless of the fact that they solved one of the major problems, they didn’t cover fleas, ticks or intestinal worms for which people again needed additional products. Looking into the customers’ relevant concern, healthcare companies came up with their updated and improved version that now also safeguards pets against the aforementioned parasites. For instance, Heartgard got better in the form of Heartgard Plus whereas Nexgard was upgraded into Nexgard Spectra. 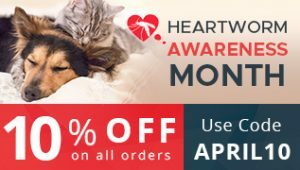 Get Heartgard Plus at Discounted Rates | Free Shipping! Apart from these two, there is a product called Sentinel which is a combination of Lufenuron and milbemycin oxime. It is known for its efficacy against heartworm infection but the added benefit of using this product is it also kills fleas and removes intestinal worms. Revolution with active ingredient Selamectin is again a remarkable example of a broad spectrum heartwormer which efficaciously prevents fleas besides protecting the pet against heartworm infestation. 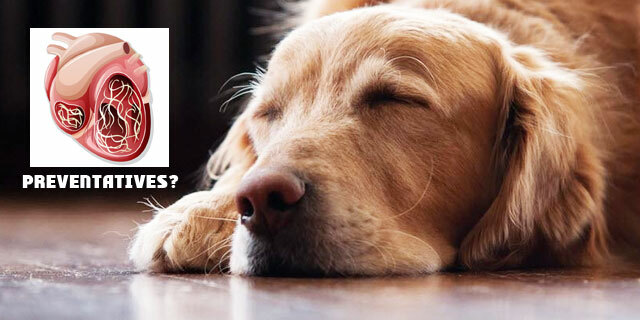 How Can You Reduce Drug Exposure In Your Dog? • Well, honestly, sometimes you can skip using the preventative if the disease is rare in your area, however, this doesn’t negate the possibility of contraction of the disease by your pet. Heartworm larvae actually need high temperatures for straight two weeks to reach the infective stage so if your area is cold as snow, you can limit the usage of the heartwormer to just summer months. However, a treatment that protects the pet against fleas must be continued year long because of the fleas’ capability to survive the oddities. • The course of its actions finishes with the completion of the dosage hence it is also mandatory to avoid any lapse. • Also, you must consider the variation in dosage amounts with the varying products so the prevention program remains on point. Overdosing a treatment can actually land your pet into trouble thus label reading must be thoroughly practiced before administering any heartwormer to your dog. • Do not split the pills as it can render the treatment ineffective and you may eventually end up feeding more drugs to your pet to resume the treatment correctly. • Ensure you administer the treatment as mentioned on the product label i.e. monthly as mentioned on most of the heartworm treatments. Heartworms can cause your dog to face serious consequences if the pet is not prevented against the infestation. It is thus important for every pet parent to realize this risk to secure their dog of the doom rather than believing in the unproven, unreliable methods of heartworm prevention. You can either play smart by starting the prevention program and following the tips to use the products properly or just nonchalantly shrug of the information and wait for the repercussions. Had we been at your place, we would have certainly chosen the former option as it is the best and only bet to save our beloved furry kid from the imminent risk. You might be still in the dilemma that which product will be best for your pet. So, here’s a solution to it, read the article ‘Heartwormers- Discover a Suitable One for Your Dogs‘ and get the best for your canines. PREVIOUS POST Previous post: What Is the Effective Way to Take Care of Dog&apos;s Eyes?